This rose groom's boutonniere is accented with delicate freesia and surrounded with sparkling crystals, diamante pins and paper covered wire. 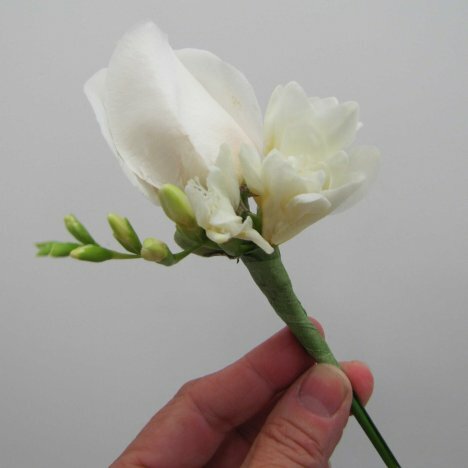 Two bridal favorites, freesia and roses, combine their sweet scents to make a lovely boutonniere. 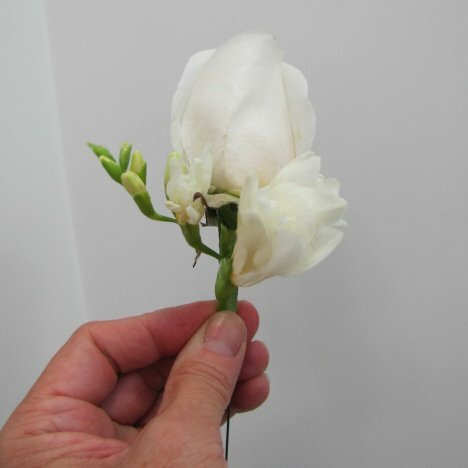 To cut down on a bulkiness, cut the rose stem short and insert a wire laterally through the caylex of the flower. 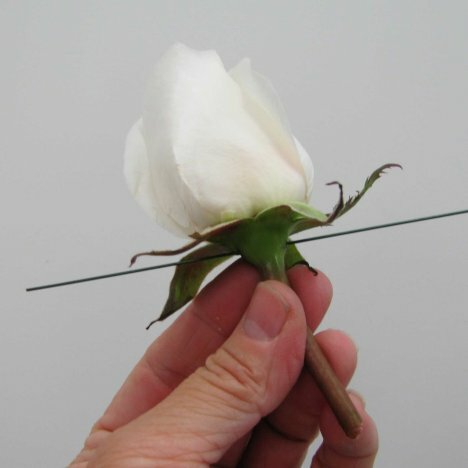 Bend the wires down laterally so they are parallel to the short rose stem. 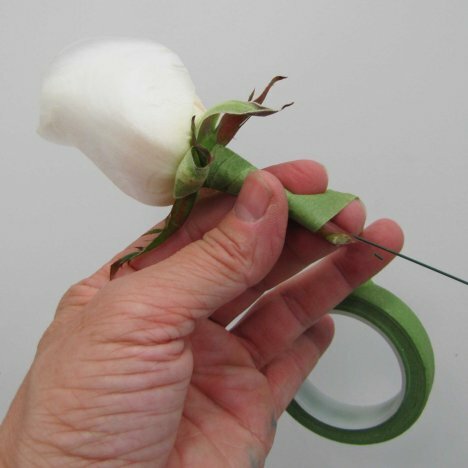 Use floral tape to bind the wire to the flower stem. Tape down to the bottom of the cut stem. Cut off the excess wire and be sure that the tape covers any sharp ends. 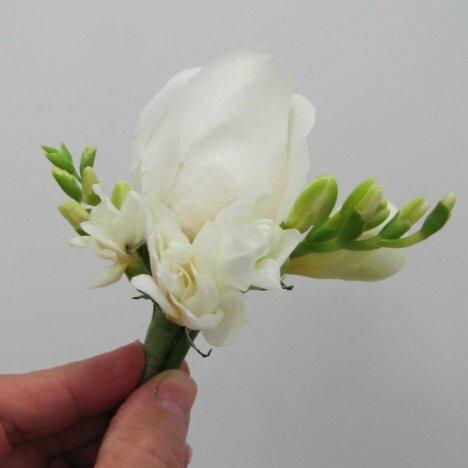 Florists know that you can make a boutonniere or corsage special by adding freesia. This dainty flower is a favorite of brides everywhere. 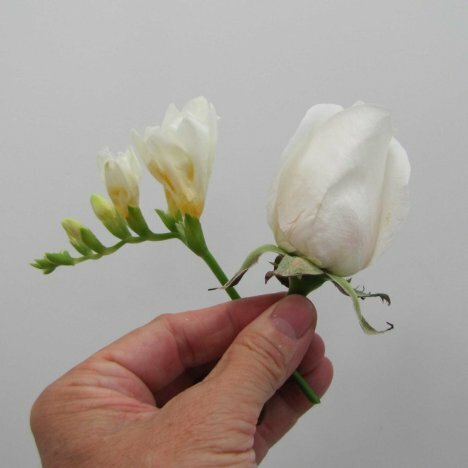 Place the first freesia in front of the rose and secure with green stem wrap. 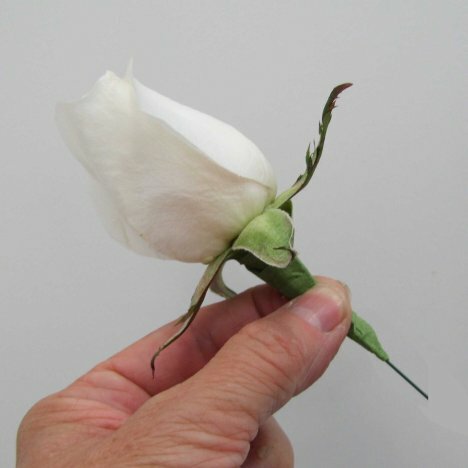 Note how small the heads are compared with the rose. The rose is considered to be the focal flower and the freesia are secondary. 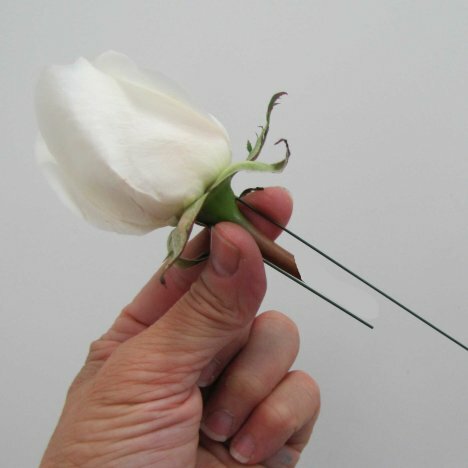 Allow those sweet laterals to frame the rose on the sides. 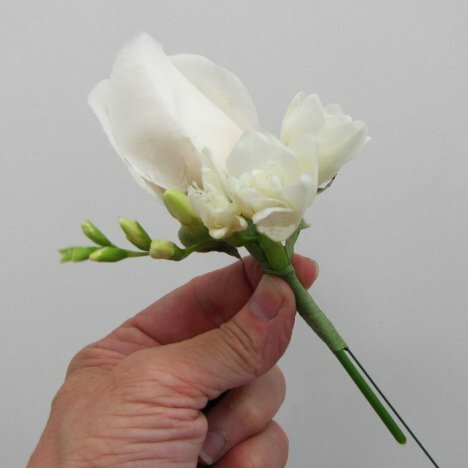 Be sure to count out your flowers so you know how many to allow for each boutonniere or corsage. I like to make the bride's bouquet special by adding a flower that none of the attendent's have in their own bouquets. In this case, it was freesia. 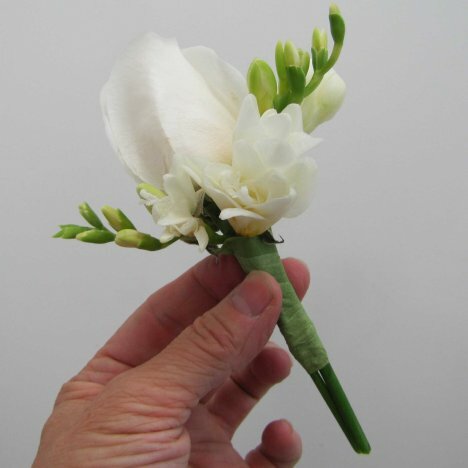 I then made the groom's boutonniere stand out by adding freesia to his alone. Snip off any bare wires showing below the tape. Allow the stems to show as part of the design. 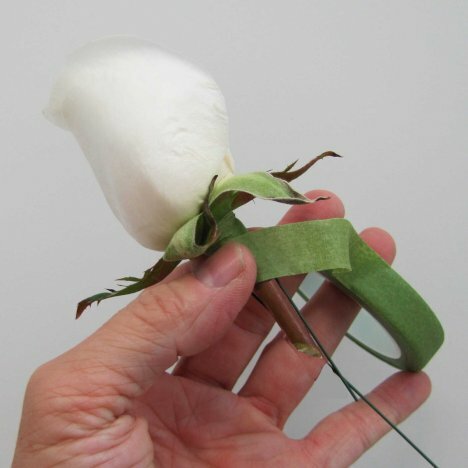 The florist tape will later be concealed by bind wire.